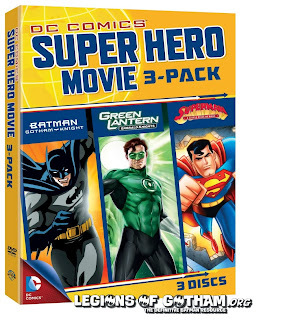 Home » » DC Superheroes Movies 3-Pack DVD Out Today! 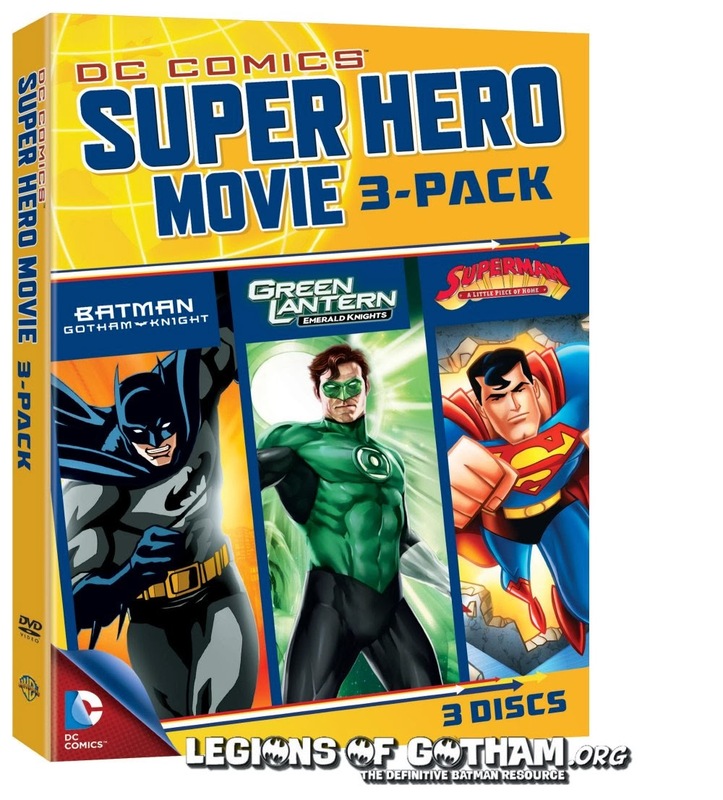 With stories by acclaimed writers including Geoff Johns, Alan Burnett and Dave Gibbons, this DC Universe Animated Original Movie explores the rich mythology of the Green Lantern universe through six interlocking chapters. While awaiting a battle with Krona, an ancient enemy of the Guardians of the Universe, Earth’s Green Lantern Hal Jordan, Kilowog, Sinestro and other members of the Green Lantern Corps recount their greatest adventures to new recruit Arisia – everything from tales of the first Lantern to the ominous events that led to the Corps’ Blackest Night! 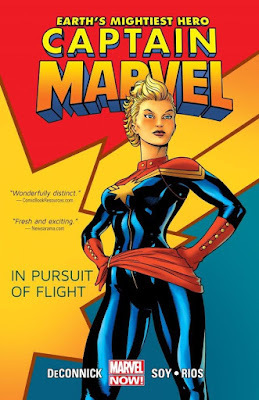 The power-packed voice cast includes Nathan Fillion, Jason Isaacs, Elisabeth Moss, Henry Rollins and Arnold Vosloo. Timeless characters and innovative storytelling unite to create a powerhouse collection of episodes as Superman faces off with four formidable foes to defend his adopted home. Mild-mannered Clark Kent and his alter ego Superman take on a government conspiracy, a lunatic scientist known as the Weather Wizard, the fiery villainess Volcana and of course, archnemesis Lex Luthor all in the name of Truth, Justice and the American Way in these thrilling stories from the acclaimed TV show! Experience a universe of hard-hitting excitement with The Man of Steel!